If you’re looking for bullet journal hacks, then you’ve come to the right place. Perhaps you’re new to the bujo planner and want to learn some tips. It also may be that you’re a pro, but realize that it’s always wise to look for new bullet journal ideas. These 20 hacks could change everything. Pick a few or try them all to figure out how each one can make your life more productive and intentional. While you’re trying to revitalize your life, it’s vital that you remember the “why” behind your actions. Record your “why statement” at the front of your journal. If certain topics that come up repeatedly, then these bullet journal tips for threading are for you. An ongoing collection likely will spread beyond its original pages. Threading helps you to tie the collection together. Whenever you start a new page of an existing collection, record the previous page number next to the current page number. You may place a dot or a vertical line between the numbers. For example, the current page number is 50. The last time you added a page to the current collection, you were on page 15. Write 50 | 15 to indicate where to turn to look for more of the collection. If remembering symbols and signifiers is confusing, then you may want to consider adding a flip-out bullet journal key. This may allow you to use even more helpful bullet journal signifiers. All you need is a piece of paper and some washi tape. Stick the piece of paper to the inside front or back cover of your journal using the washi tape. Don’t forget to include any pertinent color coding. Using labels on certain page edges is a great idea for your bullet journal planner. You’ll be able to see which pages to flip to if you want to check your progress on a particular Some journalists use colored circular stickers while others use washi tape or tabs. Migration is a necessity for successful bullet journaling. Instead of re-writing each bullet that you didn’t get done on one day, simply write “finish Thursday bullets” as an entry on Friday. Your bullet journal can do so much more for you than help you to remember important events. It also can be a miraculous method for helping you to develop good habits. The more you practice the habit, the easier it will get. Keeping a tracker helps you to see how far you’ve come. Millions of people have already discovered the joys of bullet journaling, and you can learn from their journey. Look for blogs and social media accounts that prominently feature tips and pictures or ask friends who are seasoned journalists for their time-saving tips. This may help you to avoid some pitfalls and get more productive in a hurry. No amount of bullet journal examples and tips will help you unless you make the practice a part of your routine. Many people swear by reviewing their bullet journal every night before going to sleep. Others do it first thing in the morning. Then, once a week and perhaps also once a month, they mark off a more significant block of time to review where they are, where they’ve been and where they’re going. Establish a routine, and stick to it. Otherwise, you won’t reap the life-changing benefits. If you have a chronic illness or other medical condition that you must keep tabs on, then this is one of those bullet journal hacks that you need in your life. You can keep track of all the relevant details in your journal including your symptoms, flare-ups, medication taken, foods eaten and any other factors that may affect your condition. This will be a fantastic record to take to your next doctor appointment. This hack looks complicated but is actually easy. All you have to do is cut out a piece of paper that is smaller than your journal’s page size, then insert it into the day or week where it’s needed. This is a great way to get extra space. 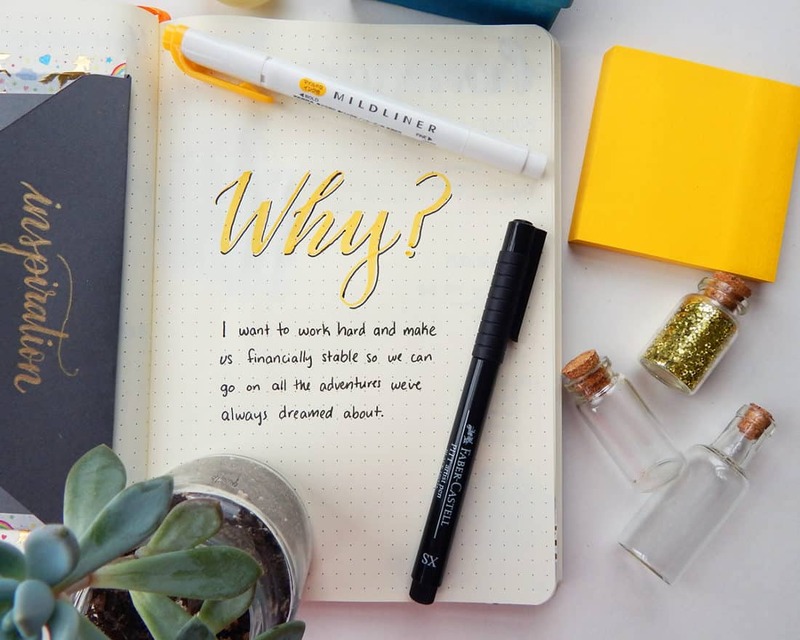 If one of your bullet journal goals involves improving your track record with personal journal entries, then it’s pretty easy to make your goal a reality. Set aside some blank pages in your journal where you can write down anything that seems important to you. Write about how you’re feeling and why. Record things you observe or place an emphasis on things for which you are thankful. Your personal journal entries can contain anything you want because bullet journaling is about much more than staying organized. It’s not unusual for people who are interested in bullet journals to need to track habits or goals over longer terms. This means that an annual tracker for certain practices may be much more efficient than a weekly or monthly tracker. It is not easy to stick to your long-term goals, which is why it’s important to note and celebrate achievements. Find a way to record your achievements in your bullet journal. You have so many options from which to choose. Fun, colorful washi tape makes it easier to keep track of collections and special pages. When it comes to washi tape bullet journal entries are a natural partner. Use washi tape as decoration, to add page tabs or to line the edge of a page to make it stand out from others. Different washi tape colors and designs can denote different collections. Consider using a stamp, like a date stamp, to make repetitive entries much more efficient. If you’re not wild about using stickers or washi to make special pages stand out, consider cutting off a corner of the page instead. Each page that’s missing a corner is part of the same collection. Sometimes it seems like tickets, receipts and other small items accumulate like snowfall. Corral it all by using washi tape to secure an envelope in the front or back cover of your journal. Do you feel like you’re always losing track of birthdays, anniversaries and holidays? With a special layout, that will never happen again. Anyone who is a fan of books, movies and TV shows will appreciate having a way to track what they want to read or watch. This means that you won’t forget a great recommendation made by a friend. You also can track what you’ve read or watched, including a short review of your impressions. With life being so busy, it’s easy to let things like vacuuming and cleaning the bathroom fall to the wayside. Use a layout to set a cleaning schedule, then track it right there in your bullet journal. Remember that bullet journaling is personal, and you can find ways to make it work for you. These hacks are designed to make the task of bullet journaling easier as well as give you tips regarding how to make your life more organized. Use the ones that work for you, and you’ll soon see a revolution in your productivity and satisfaction with your life.